Back in the day I had plenty of company out on the rivers and lakes where I ran beaver lines. 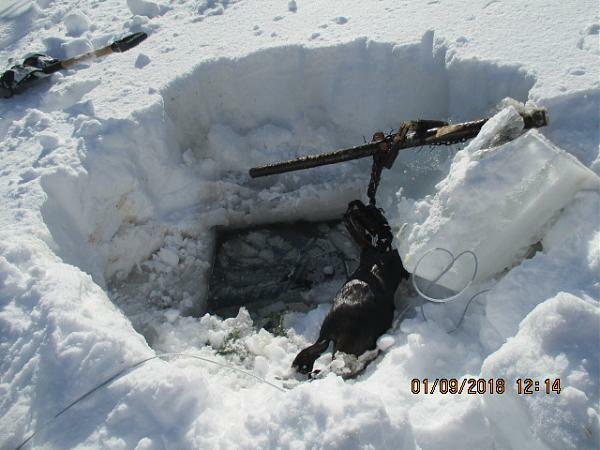 Haven't seen another beaver trapper out there for years now. Any beaver trappers on here see competition anymore? Hi Carl. I now live on Post Falls and the beaver numbers are not here. I am going to go south maybe west this spring to see if I can find some numbers. Trapped beavers this fall and I did not see another trapper for anything period. An average of 35.00 for beaver....and you’ll have plenty of company. Apparently the fun disappears at $15 averages in the lower 48. Disappears at a much higher average here. About $35. We all complain about beavers not being worth much but if you take everything into consideration when selling them-you can realize a 16-25$ average when everything is sold off them.Carcasse,fur,castoreum,skulls and even tails sometimes.It all adds up if you have the market for the stuff-even better if you are control trapping.We have the luxury of bear hunters up here that actually argue over who should get the caracasses LOL.$5-10 for the bigger carcasses is the norm. And don't forget the baculums and oil sacs! When I started trapping beaver in the very early 70's you couldn't find a beaver colony without 3 or 4 other trappers on it. The most i ever saw was a bit over a dozen guys on a colony. Beaver were closely watched and regulated by the state at that time. Some towns would be open and many closed. This forced all the guys that wanted to trap beaver into tight groups. Back then a few of us would walk a LONG way to beaver that were not too close to the road, to avoid too much competition. Competition was cut throat back in those days. And I mean cut throat. Back then there were a lot of folks in seasonal work that come winter took to cutting wood and trapping beaver. It was all under ice trapping. Today it is doubtful you could drive most folks off the couch in the winter. My my, how times have changed. BTW, I averaged about $25 a beaver last year with everything I sold, and I only got $7.50 for the pelts! Here in this part of Iowa nobody has the ambition to trap them except me. Josh those fat under ice beaver skin real nice too. $15 today adjusted for inflation is $3.21 in 1975. I bet nobody would have got off the couch to catch $3.21 beaver in 1975 either. BP -- I don't know where you're at but ------ ok I did get checked by a state trooper a year ago. Other than that a couple doing adc work. but i trap mostly private. I have not seen another beaver trapper nor a sign of another beaver trapper up here. We don't have very many though. I've seen some muskrat and coyote sets but no beaver sets. H20, I live near Junction City but consider most of the state my personal sandbox. I've trapped from Coos county all the way to the Columbia and everything in-between.